The twelve-year period since Viet Nam-US normalisation is not long but very significant in the relationship between the two former foes. 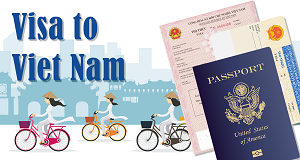 After establishing diplomatic ties on July 12, 1995, both Viet Nam and the US have done their utmost to develop and expand their relations to various areas. Vietnam's Ambassador to the United States has predicted that the upcoming visit to the US by State President Nguyen Minh Triet will usher in a bright new era of bilateral relations between the two countries. Economic, cultural and political relationships between the US and Vietnam have developed broadly since the two countries restored diplomatic ties 12 years ago, US diplomat Christopher Hill said last Thursday. Microsoft Corp. CEO Steve Ballmer witnessed the signing of an agreement Monday requiring all of Vietnam's government offices to use licensed computer software in a step to curb rampant piracy. "The agreement demonstrates very strong commitments of the government of Vietnam," in protecting intellectual property rights, Prime Minister Nguyen Tan Dung told Ballmer before the signing ceremony. Microsoft Corporation chief executive officer Steve Ballmer has reaffirmed the giant’s commitment to supporting the development of information technology in Vietnam, particularly in personnel training. 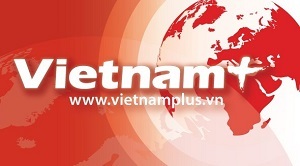 A delegation of 18 leading groups in the US will come to Vietnam to seek investment opportunities on May 3-4, 2007. Vietnam Leader Visit to US ‘significant’: US Ambassador. President Nguyen Minh Triet’s visit to the US this year is an event of significance for bilateral relations, US ambassador in Vietnam, Michael Marine, has said. He told reporters in Hanoi Wednesday that the two countries would discuss bilateral topics, especially a framework agreement on investment and trade, during the visit. Marine also said US and Vietnamese officials met in Washington Tuesday for “frank and constructive” talks on human rights. Lieutenant General Daniel Leaf, Deputy Commander of the US Pacific Command, visited Hanoi Thursday to discuss cooperation potentials with Vietnamese military officials. During his meeting with Lieutenant General Nguyen Duc Soat, Deputy Chief of General Staff of Vietnam People's Army, the two sides exchanged experiences in mine clearance and seach and rescue activities in natural disasters. US retail firms have criticized the Department of Commerce’s (DOC) monitoring mechanism against apparel imports from Vietnam, saying it would affect both Vietnamese and Americans. At a public hearing in Washington Tuesday, Ronald Shulman, chairman of giant retailer JC Penney Company, said the surveillance would hit the Vietnam textile industry and also retailers and consumers in the US. Stephanie Lester, deputy chairwoman of the US Retail Industry Leaders Association (RILA), said her association strongly protested the decision.